Following Killer T’s below par act at the Harare Agricultural show on Wednesday, another Mbare born and bred Dancehall sensation, Seh Calaz made amends when he wooed the crowd on day four of the ongoing farmers festival. The Hatipisike hit-maker took to the podium on a reggae tip after ExQ whose act was punctuated by songs such as Maidei and Musalala. The Nhema hitmaker also churned our songs from his recent works including Nzenza but when Seh Calaz took over, he proved to be crowd favourite who cheers were louder and longer than before. 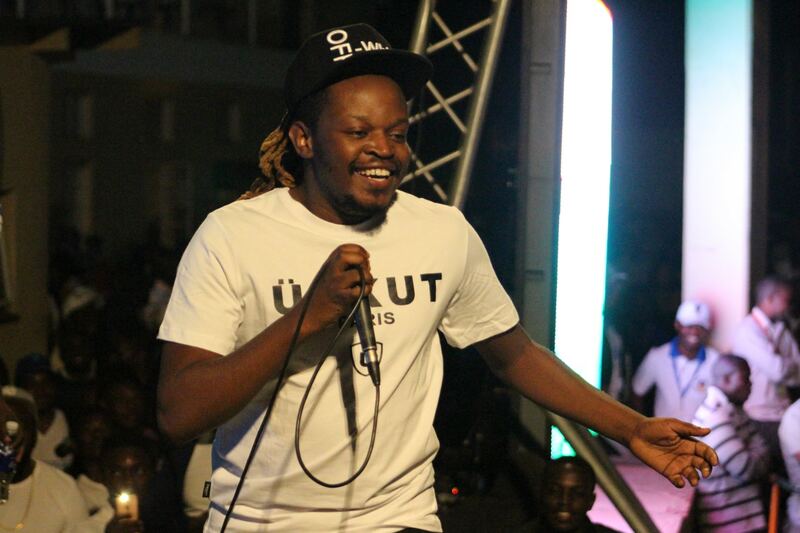 Though ExQ gave a good account of himself, Seh Calaz’s play-list and chants quickly facilitated music fans who attended the show to forget about the Musalala hitmaker. Ecstatic with the fan reception he got, the dance-hall chanter broke the news of his upcoming album launch. “Mabhanditi are you having fun? Do want to hear more of Calaz? Well brace yourselves for an upcoming album launch on the 29th of September,” he said. Meanwhile, Seh Calaz will be part of the star-studded line-up performing at the “Clash of the Giants” concert tomorrow at Alex Sports Club.